Australia's environment minister has swept away existing federal protections for endangered species, so the controversial shark cull may go on in the western part of the country. Greg Hunt, who has come under fire lately from conservationists and scientists who oppose the cull, said that it was in Australia's "national interest" to exempt the state of Western Australia from the Environment Protection and Biodiversity Conservation Act. Hunt's approval of the exemption was made public on Monday evening. The cull, which involves stringing baited hooks off the shores of popular beaches in Perth to lure sharks in and then shooting them if they're over nine feet long, is intended to decrease the number of shark attacks on humans. There have been seven fatal attacks in the past three years. "One does not have to agree with a policy to accept that a national interest exemption is warranted to protect against imminent threat to life, economic damage and public safety more generally," Hunt writes. 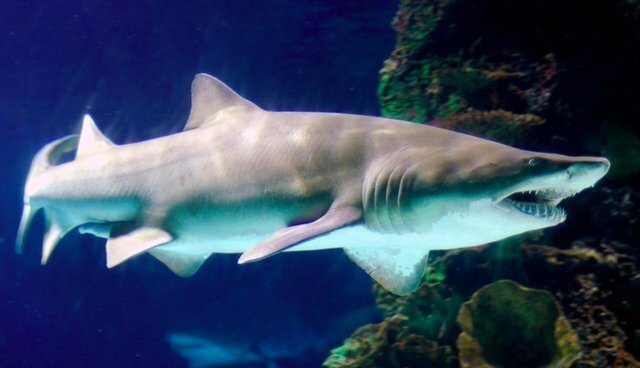 The species he is providing exemption for are the great white shark, which is listed as a vulnerable, migratory species, and the grey nurse shark, which is considered threatened. Opponents have called the approach inhumane and unscientific, claiming that it will only increase shark attacks on humans by drawing them closer to shore. "The proposed policy and consideration by the federal environment minister lacks any real scientific approach, and fails to sufficiently consider the wider marine implications of the program," Alexia Wellbelove, senior program manager at Humane Society International, told the Guardian. "This exemption demonstrates the complete failure of the federal government to protect our most precious species and fulfill our international environmental obligations, for the price of a policy which we do not believe will have the desired impact of reducing risk for people, which is its stated purpose."